High Risk LifeI nsurance Agency can assist you with Life Insurance Approval with Gastritis! Having trouble finding affordable life insurance with Gastritis? Can People Who Have Gastritis Be Approved for Life Insurance? Yes, most individuals with Gastritis will be able to qualify for traditional life insurance, the type of insurance which requires a medical exam. Best Case Scenario – If Gastritis is an acute case that is caused by either contaminated food, a minor complication of surgery or the result of irritation due to occasional alcohol use, then these cases may qualify for the best rating at “Standard”. It is, however, important that the inflammation may not become prolonged or chronic in nature. If the symptoms of abdominal upset, vomiting or pain are controlled and complications prevented, most cases have a “Substandard” rating. Click here for quote at “Standard”. Moderate Case – Those with chronic symptoms that occur due to transient trigger factors such as due to long-term use of NSAIDs or allergic reaction to some food may qualify for a “Mild Substandard” health class. Provided, however, that there are no signs of complications such metaplastic changes in the stomach, which can be a predisposing factor for cancer. Click here for a quote at “Mild Substandard”. How many years have you been diagnosed with Gastritis? Gastritis is a preventable and manageable condition if detected early. Longevity of the condition, however, increases the probability of complications especially in chronic Gastritis. Chronic cases may qualify only for “Mild Substandard” rating if symptoms of pain and diarrhea are controlled, and there are no obvious serious complications such as metaplasia. Symptoms of severe pain, chronic diarrhea, bloating and indigestion may be flare signs indicating an active inflammation. These cases may need to be evaluated properly to establish the absence of complications or the presence of other underlying conditions such as liver or kidney problems. Regular visit to your gastroenterologist is a good sign of control of the condition and may get you a “Standard” rating. It is, however, necessary for laboratory and diagnostic exams to confirm the absence of complications such as chronic Gastritis or metaplasia. Recent laboratory blood exams and diagnostic tests such as endoscopy are the best ways to assess your actual condition. This may also confirm your compliance with your physician’s management, and good results may earn you a “Standard” rating. Do you have a family history of Gastric Cancer? If you have a family history of Gastric CA, you undergo a more thorough evaluation, but if there are no signs of abnormal growth or malignancy then you may qualify for a “Standard” or “Mild Substandard” rating. Lifestyle triggers include heavy coffee or alcohol consumption, stress and trigger food intake may cause chronic Gastritis, and the best rating you may qualify, if there are no complications is at “Mild Substandard” rating. Primary conditions such as HIV, kidney or liver problems may manifest Gastritis-like symptoms that will need a different evaluation requirement. Gastritis is a condition characterized by the inflammation or swelling of the lining of the stomach. The inflammation can be caused by several factors like over use of alcohol, pain drugs such as NSAIDs (non-steroidal anti-inflammatory drugs). It can also be caused by a complication of a major surgery such as banding or digestive reconstructive procedure, burn, traumatic injury or severe infection. Still, in some cases there are autoimmune conditions that trigger an allergic reaction that causes the inflammation. Symptoms of Gastritis include pain that is described as aching, burning, dull, gnawing or sharp sensation, abdominal upset, bloating or feelings of fullness, indigestion, nausea, vomiting and in more serious cases, anemia. The pain previously described usually occurs at the upper left quadrant of the abdomen. Diagnosis of Gastritis can be done through a blood test, complete blood count for anemia, stool exam endoscopy or esophagogastroduodenoscopy. Treatment, on the other hand, includes management with antacids or proton pump inhibitors, and in infected cases with antibiotics. 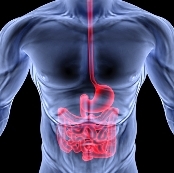 See our other articles on Digestive System Disorders and CLICK HERE!